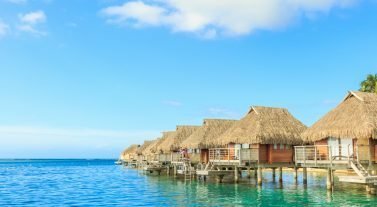 One of the most loved locations in the world, Tahiti in the French Polynesia is an ideal destination for those seeking impressive lagoons, green volcanic peaks and vibrant marine life. It’s also home of the annual Tahiti Pearl Regatta (TPR), now in its 15th year, a thrilling race for sailors and novices between the Society Islands and the protected lagoon waters of the Pacific Ocean. The regatta is referred to as the “most ‘beautifun’ regatta in the South Pacific” and is now a renowned international nautical event, attracting keen sailors and non-sailors from around the globe. It’s open to catamarans, monohulls, private boats, charters and racing yachts and there is no limit on size. Competitors race to win the single hull racing, multi hulls racing, cruising, corporate challenge and TPR Grand Prix trophies. The event was started by a group of friends who wanted to compete with each other in 2004 and now it has grown to host +40 local and international teams all competing across six days. The TPR itinerary changes each year and competitors follow inter-island routes between the islands of Raiatea, Taha’a, Bora Bora or Huahine (it alternates each year). 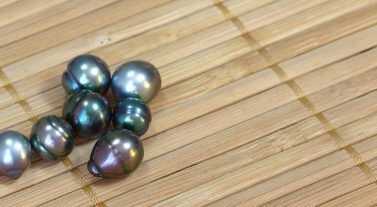 In 2019 the regatta includes Huahine, races along the coastline east of Raiatea, known as the Banana Lagoon, and the “Tahitian Pearl Race” around the island of Taha’a. Every night there is a stopover on islands or motus with exciting events and activities. Competitors and spectators can enjoy a lively festival atmosphere during the regatta, with a regatta village, parade, costume parties and competitions between the crews on the beach at Uturoa Bay, Raiatea. Locals perform traditional Tahitian dances, which are at center of their culture. It’s a party not to be missed and has attracted many people as much as the racing itself. From sailing one of the many classes of boat to observing from the side-lines and simply enjoying the nightly parties, the TPR offers it all. We’re supporting TRP with a yacht to support the team organizing the event and some of the teams are racing on yachts from our fleet. We’ve also provided innovative packages to allow customers to follow and participate in the regatta whatever their sailing experience. For the first time you can book a cabin on our yachts and allow our skipper to sail you in the regatta while our chef looks after catering (dinners served ashore). You will have the chance to participate in the sailing too if you wish alongside your skipper. Visit the TPR website to book single or double cabins on board our catamaran Catana 42 ‘Carmen’, or on our monohull Dufour 520 ‘Arz’ ‘ during 7-12 May 2019. If you’re thinking about experiencing a touch of Tahiti and would like to sail at the same time of year as the regatta or at another time of year, take a look at our bareboat fleet, 10 day or six day by the cabin charters and crewed charters. Get in touch with our team today on 833.609.5372 or email infona@dreamyachtcharter.com for more information.